Please note, we do not have all of our slot machines listed online because our inventory changes frequently. 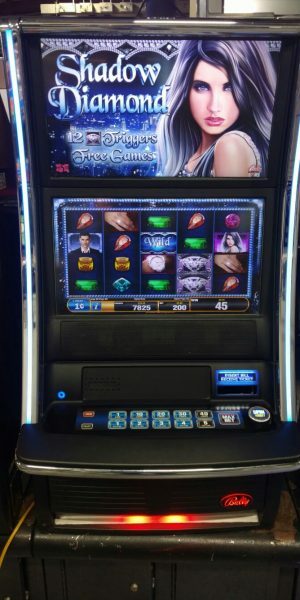 All slot machines pictured on the website are stock photos. Machines may vary by cabinet, color and style. If you want a specific look, please call before you order. Machines will not accept tickets under normal setup. We still can convert machines back to take tokens or coins. If you have any questions about the slot machines, please check out our FAQ for first time buyers. Ohio River Slots strives to offer top-notch customer service to encourage lifelong clients. After purchase, we will we take a videos/pictures of your machines before it leaves our warehouse. 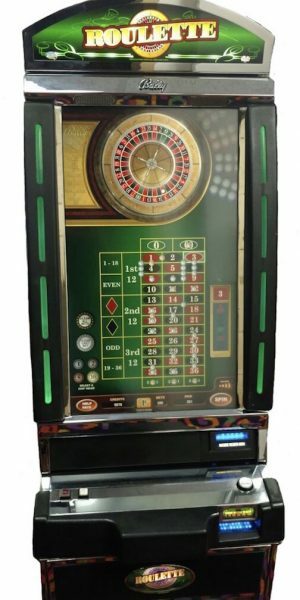 Our slot machines come with a limited one year warranty and lifetime phone technical support. Ohio River Slots strives to create satisfied customers for life. Check out our eBay feedback and our Facebook reviews.Looking to buy more than one slot machine? Contact us at 786-510-4176 to order in bulk. 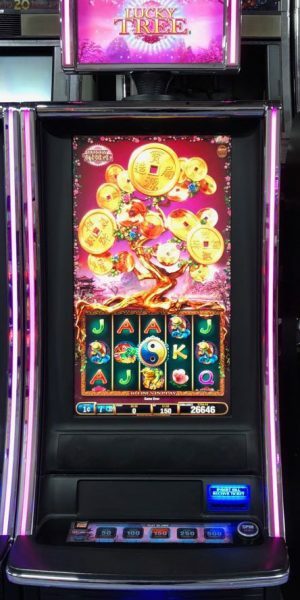 We can outfit your game room with slot machines! 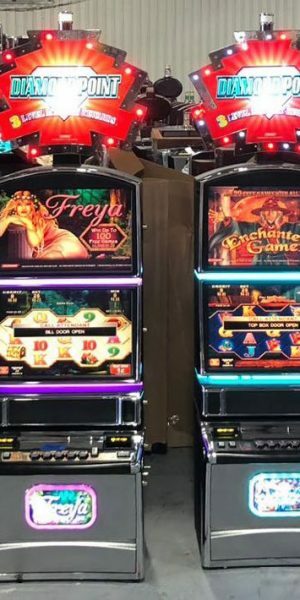 Whether you are looking for a pallet of slot machines or a 40ft container, Ohio River Slots sells high-quality, professionally refurbished slot machines and can help meet your needs. We also carry products like casino chairs. For international sales, please reach out to us on WhatsApp or email us.